We are now carrying a select line of excellent toffee from Cache. Many of our customer have asked us to carry toffee, and we didn’t want to carry just ordinary toffee. So we went looking for the best, and found it with Cache. Creating Small Batch Excellence, Cache is committed to creating irresistible handcrafted toffee with unique flavor combinations and excellent ingredients–many of which are local in Utah. Cache makes toffee in small batches using fresh local butter and cream, renowned Solstice Chocolate and an array of high quality natural ingredients. 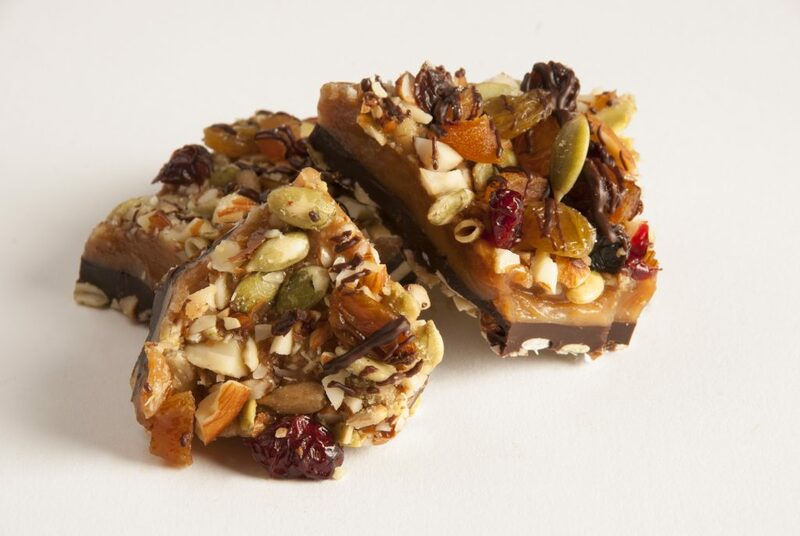 Cache toffee is made fresh and preservative free and is best enjoyed at room temperature. It can be refrigerated or frozen for up to four months. The following is a little backstory on Cache Toffee. “I started the Cache Toffee Collection in my Park City, Utah kitchen—7,000 feet above sea level. As I adjusted for the altitude the treasured toffee making techniques my mother taught me, one thing just sort of led to another. While working out the perfect balance of ingredients, temperature, and storage techniques, I also began to experiment with flavor and texture combinations. I thought, why not add some unique spices, or marinate fruits in brandy and introduce them to the layer of chocolate on the traditional toffee? How about a bit of spicy heat? You can see where I was going here.